Bernie is the German Jew who escaped Nazi Germany before the war. 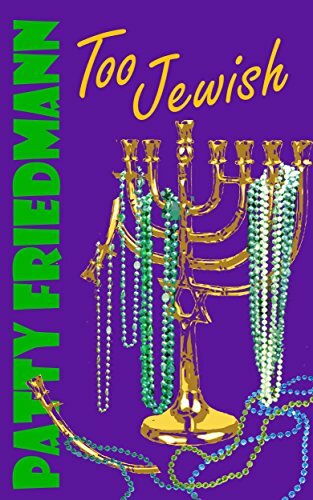 He wants to be an observant Jew, but when he meets and marries Letty his Jewish observance is eroded. For her snobbish mother he is too Jewish. She sees herself as being above the label of being Jewish, yet all her connections are Jewish. Arguably her prosperity depends on her Jewish roots. For Letty’s mother money buys everything; the tuition at her granddaughter’s school, Rena the maid and later the judiciary in a hit and run accident. Bernie starts his oral history by saying his favourite programme is the $64,000 question. This may be connected to his desire to provide a sustainable income for his family, through his business. Money is a constant theme throughout the book, because Letty’s parents are wealthy and use this as a powerful weapon against their own son-in-law. This obviously makes Bernie feel uncomfortable and is one of the reasons why he wants to move to New York, to be closer to his business partner. Lack of money was also an issue when he was trying to free his mother from Nazi Germany. The fact that he was too late, will forever weigh on his conscience. It also may be one reason why he asks that his oral history be kept secret until 50 years have passed. Where Bernie sees bumping into Letty on Ellice Island as a coincidence, she sees it almost as fate. For Letty this is another example of her mother’s snobbery. The fact that bumping into someone was their fault and as such they should pick up her spilled luggage. Later she denies having met Bernie, as they would have been travelling first class. Letty states in her oral history the she does not like to travel, which is partly the reason why she won’t leave New Orleans and that she does not care what people think. This is only partly true, as she does care a great deal about what her mother thinks. It is because she wants her mother’s approval, love and respect that she will not move away, despite Bernie’s pleas. Yet she can never get away from her mother’s money and influence. She wants the best for her daughter, so agrees to her mother paying the fees, but later she applies and qualifies for a scholarship. If she was less caring and more independent minded, she may have done this sooner, before the threat of non-payment of fees. Derby is Bernie and Letty’s daughter. Her most important characteristic is that she can speak and read German. This allows her to speak to her father’s German friends and enables her to read her paternal grandmother’s letters, written to her father from Germany. It is her friends prejudice against the Germans, and the Nazi’s in particular, which bring out the tragedy and new beginnings at the end of the book. Darby, perhaps more than her mother, personifies an unfettered attitude when it comes to what people think. She is very much the clever outsider. It is only when her best friend Catherine leaves for boarding school and she is forced to fit in with the other girls that things go drastically wrong. The most prominent and obnoxious character is Letty’s mother. Dominating the book completely, she rules and manipulates everyone’s lives through money and influence. In the end, you also feel her husband has to tow the party line. For her, being Jewish is a second-class citizen not a badge of honour and being an orthodox Jew or an observant Jew is even worse. Snobbish to the point of vulgarity she is petty and mean. Letty refers to her as delighting in making other people’s lives miserable. For her it is a source of power and status. She cares what people will think of Letty, as it is a bad reflection on her. When she takes Darby to Europe it is to show her the advantages of money and what she can do for her that her father can’t. No one knows that Darby and her father have their own bond through their knowledge of the German language. Indeed Bernie requests her grandmother does not take his daughter to Germany due to the painful memories. In the itinerary she marks Germany as Austria and takes Darby to Bergan-Belson where her paternal grandmother was held and where she learns of her ultimate fate. Such is her cruelty when Darby gets upset and does not want to know, she goes through the records herself. The novel is separated into 3 perspectives; father, mother and child. Each give their own side of the proceedings with the hateful grandmother being the central link. I do wonder if the story is overshadowed by the grandmother’s presence, diminishing the others roles and somewhat flattening their characters. The ending is fitting to what is essentially a very challenging situation. A lesson in how far we let money and other people dominate our lives. OnlineBookClub – genuine or scam? Amazon the X Factor for books. Not all traditional authors are good and not all indie authors are bad. Theme Designed by InkHive.com. © 2019 traceymadeley.com. All Rights Reserved.